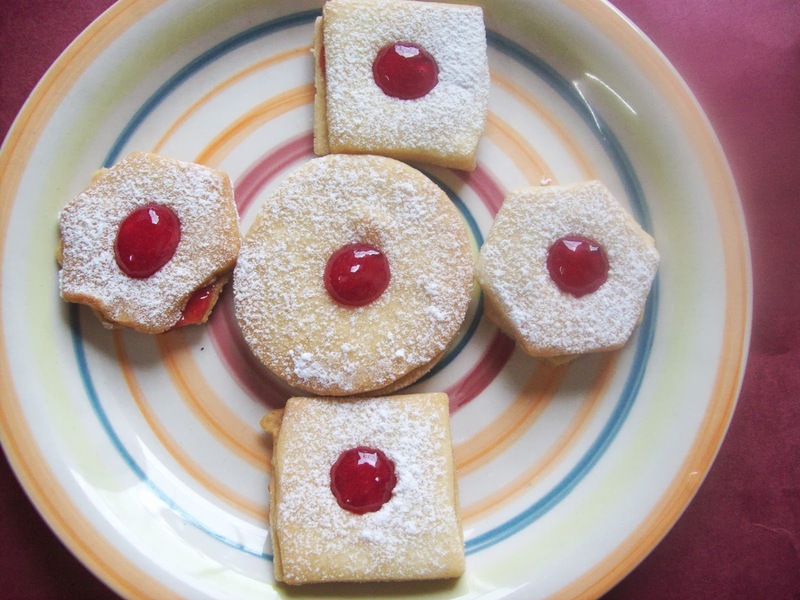 I baked Shortbread Sandwich Cookies for the Home Bakers challenge.The main objective of Home Baker’s Challenge is to learn and bake together. 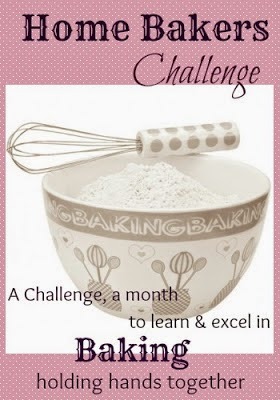 Thank you very much Priya Suresh and Viji for this wonderful and delightful challenge. The cookies are baked, cooled, spread with a thin layer of jam, then dusted with powdered sugar. 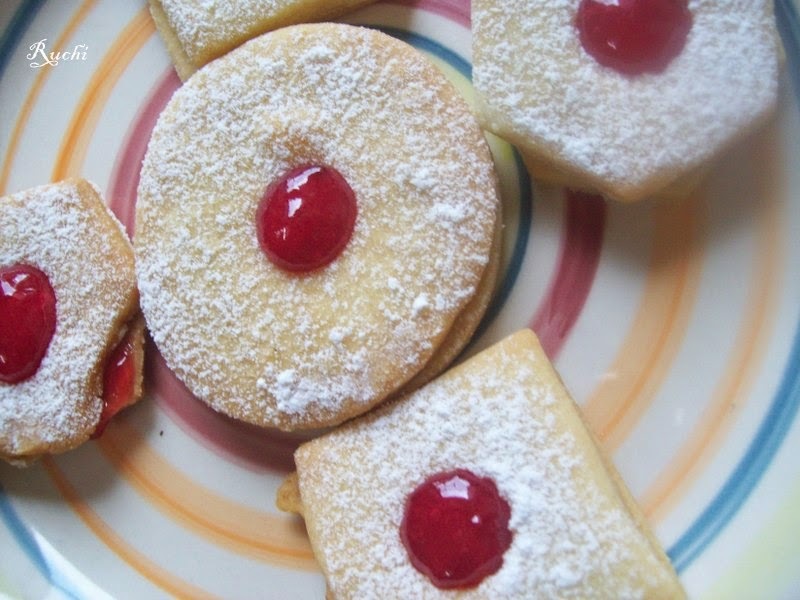 A little more jam can be placed in the cookie top hole to fill the space and cover up the dusted sugar. These cookies are pretty delicious and irresistible! 2. In a bowl mix together butter and sugar until they are just combined. 3.Add the vanilla to it and mix it once. 4.In another mixing bowl sift together the flour and salt, then add them to the butter and sugar mixture and combined well to make dough. 6.Roll the dough ¼ inch thick and cut 2 ¾ inch rounds with a plain or fluted cutter. 7.With ½ of the rounds, cut a hole from the middle of each round with a heart or round shaped cutter. Place all the cookies on an ungreased baking sheet and chill for 15 minutes. 8.Bake the cookies for 10 to 15 minutes, until the edges begin to brown. Allow to cool to room temperature. 9.Dust the top of the cut-out cookies with confectioner’s sugar and press the flat sides together, with the jam in the middle and the confectioner’s sugar on the top.